Now that cities can no longer rely on the U.S. federal government to take serious action on the global threat of climate change, many are seeing a path to success through collaboration. Legions of businesses, cities and nonprofits are banding together to support global solutions on a local scale. This collaborative self-reliance has been a growing trend over the years, with groups such as the Compact of Mayors and We Mean Business using the collective power of outside players to support effective climate action not only in the United States, but across the world. Local governments are saddled with the responsibility of providing the services needed to promote the well-being of their residents and communities, and achieving those goals often requires the support of businesses and nonprofits. Here in the U.S. we have seen the powerful results that can be achieved when these groups work together in the uphill battle to recycle right. 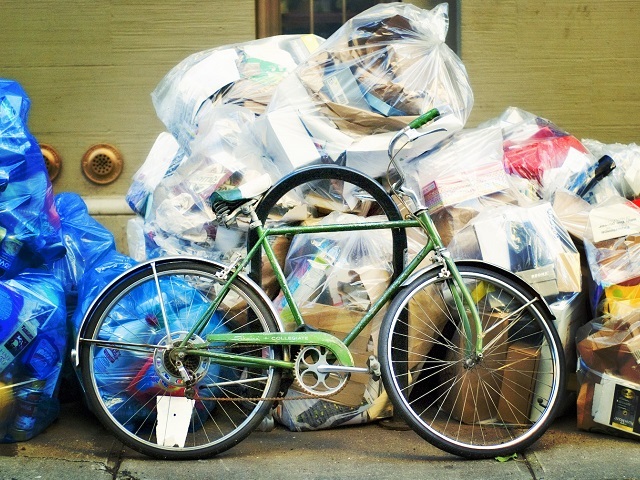 Despite the common misperception that recycling is universal in the U.S., only half of American households have access to curbside recycling infrastructure. This represents a tremendous lost opportunity for communities to prosper from the environmental and economic benefits that recycling can provide. The public wants to break this cycle. As referenced in The Recycling Partnership’s 2016 State of Curbside Report, 94 percent of the U.S. population wants to recycle. Recycling is an effective way for cities to reach their climate commitments because it reduces the amount of waste that enters landfills and extends the useful life of existing materials. The methane and carbon dioxide released by landfill waste add to the greenhouse gas emissions that are adversely affecting the climate. In 2015 alone, recycling in the U.S. prevented 410 million tons of greenhouse gases from being emitted, equivalent to the annual emissions of more than 43 million homes. What’s more, 20 jobs are generated for every 10 tons of recycled materials, versus just one job for the same amount of landfill waste, underscoring the promising impact recycling can have on the nation’s economy. How can we improve recycling efforts to unlock these benefits for all communities? The answer lies in an innovative partnership model that brings together corporations with city and state governments. In the last three years alone, The Recycling Partnership, a national nonprofit, has applied funding from more than 30 corporations, such as Procter and Gamble, Coca-Cola and Target, to improve curbside recycling infrastructure in more than 420 U.S. cities. Although the scope of work in each city is varied, projects include improving the recycling infrastructure and system itself through placing new blue curbside recycling carts and training city staff and communications campaigns that raise awareness about recycling programs and educate residents on how to recycle properly. The Recycling Partnership works closely with each city to help make the most of their recycling programs. This often involves expert analysis of the local system, funding and development of targeted campaigns and infrastructure improvements, and personal assistance to ensure that city officials have the tools and knowledge they need for long-term success. 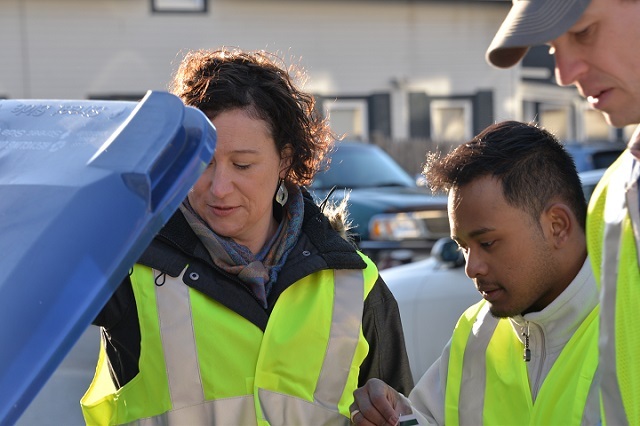 Such hands-on involvement improves curbside recycling programs, reducing costs for cities and improving service for residents. Making recycling more convenient for residents directly reduces the amount of waste headed to landfills and creates immediate, substantial benefits. Beyond the positive effect on climate change, the more a city recycles, the more jobs and revenue that can enter its communities, lifting up residents of every background and income level. Despite the federal government’s disheartening announcement that the U.S. will withdraw from the Paris Agreement, all is not lost. As progress on recycling has shown, cities and businesses can do much on their own to plant the seeds for a low-carbon future. Keefe Harrison is CEO of The Recycling Partnership, a national nonprofit transforming recycling in cities and towns across the United States.